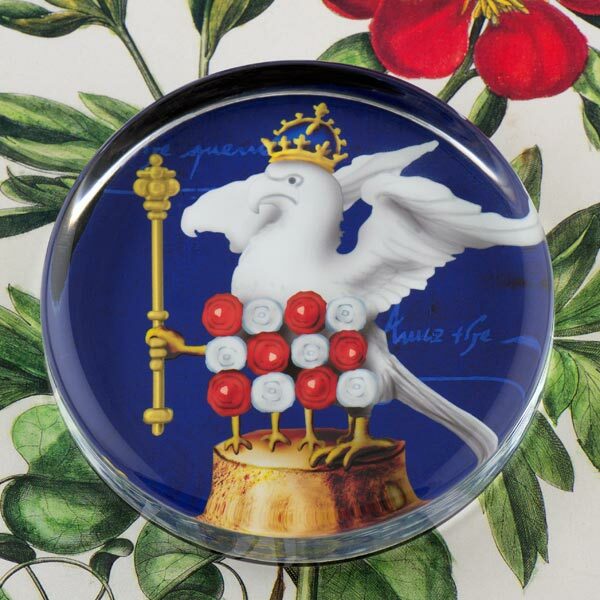 This lovely paperweight features our very own recreation of the falcon badge depicted in Anne Boleyn’s very own copy of “The Ecclesiaste”, which was created for her by her brother, George Boleyn. Tiffini has used Anne Boleyn's signature in the background. 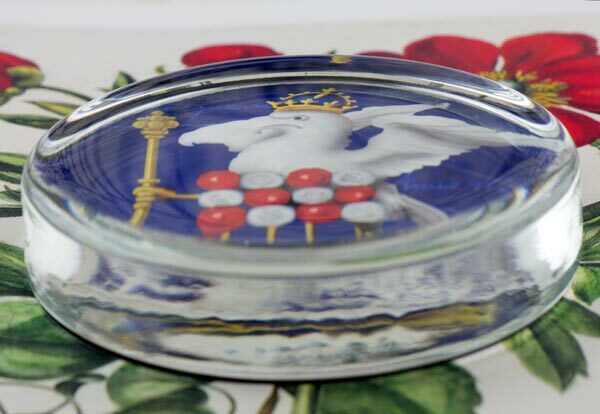 Superb quality, crystal clear, handcrafted, flat, round, glass paperweight.